'Twenty Key Words for Roland Barthes' in 'The Grain of the Voice'. I've been dipping into Roland Barthes' The Grain of the Voice on and off for some time now, a great collection of interviews spanning a wide range of topics. It's perfect for reading when I have only a few moments to spare, whether taken in fragments during a 15-minute break, or while waiting around for a friend. Barthes is a master of presenting deep thoughts in accessible and entertaining ways. And he's at his most compelling, to me anyway, while observing the subtle intricacies of everyday life; the apparently insignificant, in Barthes, is the locus of true significance, and he wastes no time offering insightful commentaries on a selection of cultural objects and practices. 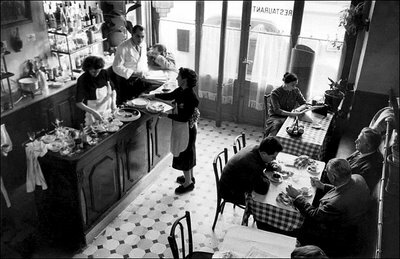 His remarks on the social space of the café is particularly interesting to me, as nothing makes black coffee better than the charm and atmosphere of a good coffee house. Novelistic, indeed!